Fully editable logo: PSD, Ai 10, EPS 10 files CMYK 100% vector (resizable) easy color changing editable text (free fonts) Note: there .. Logo of a stylized letter g. Can be used for many kind of project. 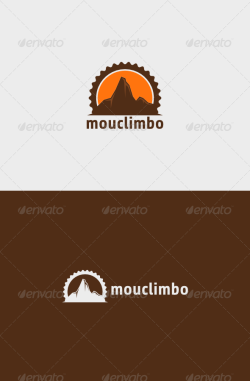 Full vectors, this logo can be easily resize and colors can be changed ..
Mouclimbo Logo A simple logo template suitable for a company, team, climbing shop, website, etc. Features: – Vector format – ..